This beautiful property was damaged by a speeding lorry a few months back. The damage was quite sufficient and the owner had to pay for damage caused by this lorry, which shouldn’t be possible! The owner and I had many conversations back and forth with the local council for traffic lights to be put down this road to stop this from happening again. 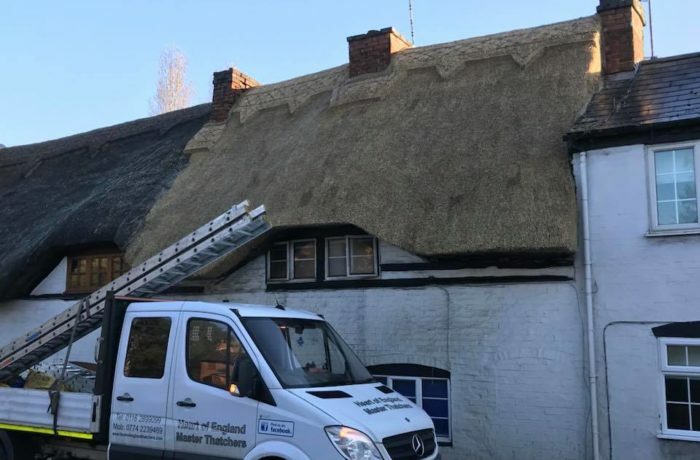 The front of this property was re-thatched and will stay in one piece for many years to come, as long as people observe the speed limit in the village!